Spring is coming quickly! 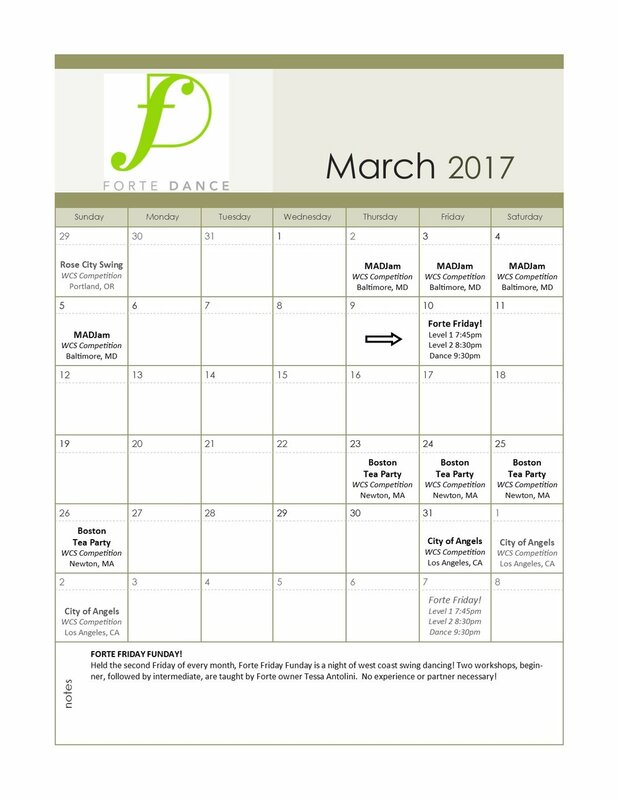 Check out what's happening at Forte Dance in March, as well as a preview of goings-on in April! TONIGHT!! 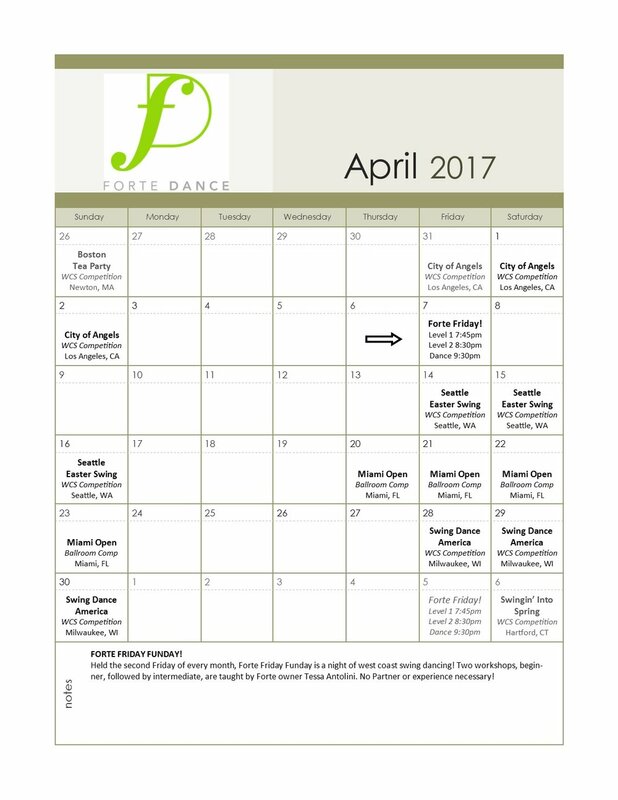 Tessa teaching 2 WCS Workshops for Boston Second Saturday Dance!